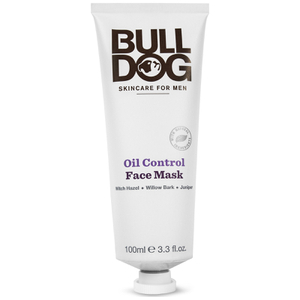 Balance the complexion with the Bulldog Oil Control Face Scrub; an effective exfoliator that is purpose built for men with oily skin. 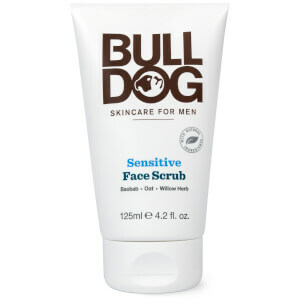 Fortified with purifying Charcoal and a skin-loving blend of Witch Hazel, Willow Bark and Juniper, the exfoliating formula effectively sloughs away dead skin cells and impurities to leave the face smooth and balanced. 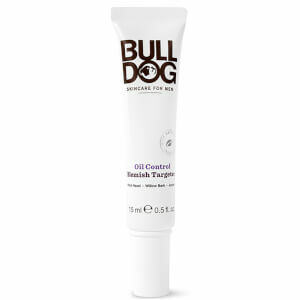 Expect ultra-soft skin with reduced shine. Fukt ansiktet med varmt vann. Masser en liten mengde inn i huden. Skyll godt. For best resultat, bruk sammen med vår Oil Control Face Wash, Face Mask, Blemish Targeter og Moisturiser.